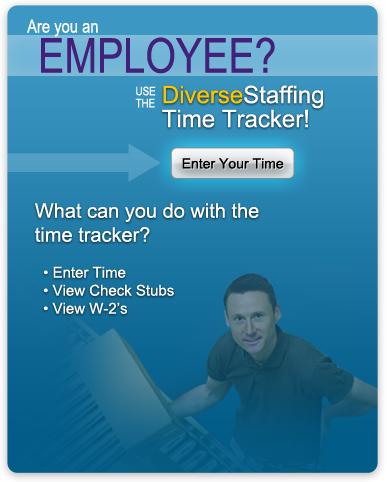 Diverse Tech Staffing works with you to target, engage, and qualify the right people to help you successfully carry out your plans and effectively manage your processes. Our proven approach allows us to go beyond the expectations you have for your next hire and find the candidate who best fits the role and your company culture. The staffing and recruiting teams at Diverse Tech Staffing will work with you to define the requirements of any open positions you have and then will utilize our exclusive talent pool to find the best candidates for you. Through unique tools like our Candidate Evaluation Profile, we are able to find the right talent for every job. We don’t just send you the first candidate who applies for the position. Instead, we pre-screen, interview, and test every applicant before we ever make a connection. When you choose to work with Diverse Tech Staffing, you’ll discover that our staffing process, extensive candidate research database, and performance feedback program allows us to customize our recruiting programs to best fill your needs. We’ll work with you to define your staffing solutions, target candidates, create onboarding materials, and set standards for our associates. Diverse Tech Staffing is continuously working to improve our solutions and services while innovating better and more effective processes. 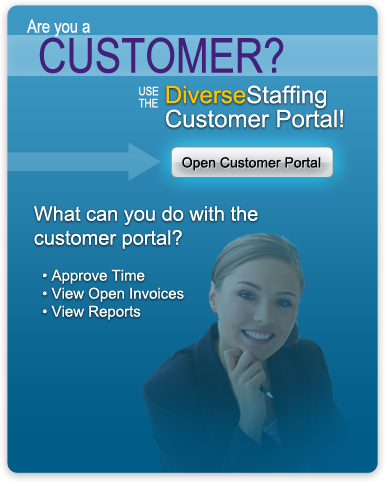 We do all of this in an effort to provide you superior staffing solutions and services.